Tekin's brushed Rock Crawler Motors are ready for rock-pounding punishment. 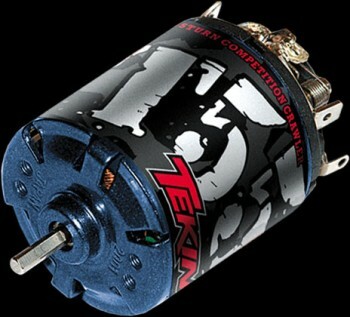 Brushed motors are still the choice of top level rock crawling competitors and the Tekin T-Series was designed for use by the most demanding drivers. Choose from the handwound and pro-tuned Pro models or the Standard models for competition level performance. Radio Control Rock Crawlers crave maximum torque, smooth throttle response and strong holding power - Tekin's T-Series is up to the task.